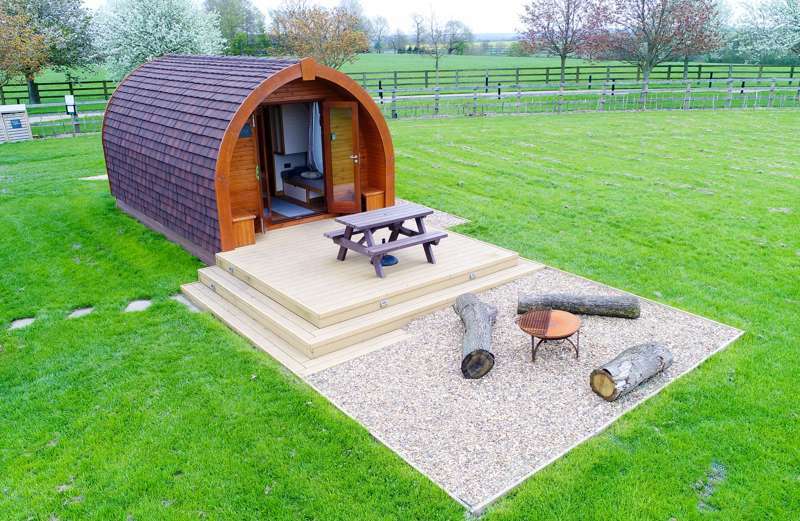 Escape the capital in this stylish, modern pod set in the Bedfordshire countryside. Our Fern pod now comes with a Scandinavian wood-fired hot tub, which can accommodate four people. New hot tub not shown in pictures (yet! ), all hot tubs are the same, wood-fired hot tub installed Feb 2019. The Fern pod is well-insulated, and comes with thermostatically-controlled heating, all the pods are are equipped with a seated dining area, which converts into a comfortable double bed, and a sitting areas, in which two sofas convert into two further single beds.